ArchiFrame extends the ARCHICAD design suite for more user-friendly wood structuring and design. ArchiFrame will change the way you do structural design, improving processes and project management. It's an innovative design tool for wooden structures that combines engineering with aesthetics. ArchiFrame is the complete structuring tool for roofs, walls, floors, frames, panels, and wooden elements - simply reshape planks and beams in one click. The beauty of designing with ArchiFrame is that everything sits within one ARCHICAD file - including 3D models and 2D elevations with semi-automated layouts and listings. With ArchiFrame you can even output elements to CNC - making it the ultimate end-to-end wood modeling software. 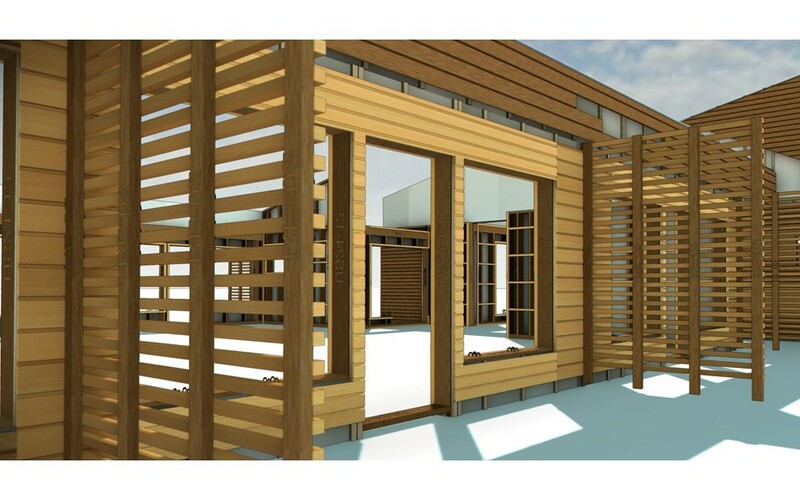 ArchiFrame extends ARCHICAD's rich features to wooden structure design. ArchiFrame provides tools for designing walls, frames, column/beam structures, intermediate floors, and roof structures. 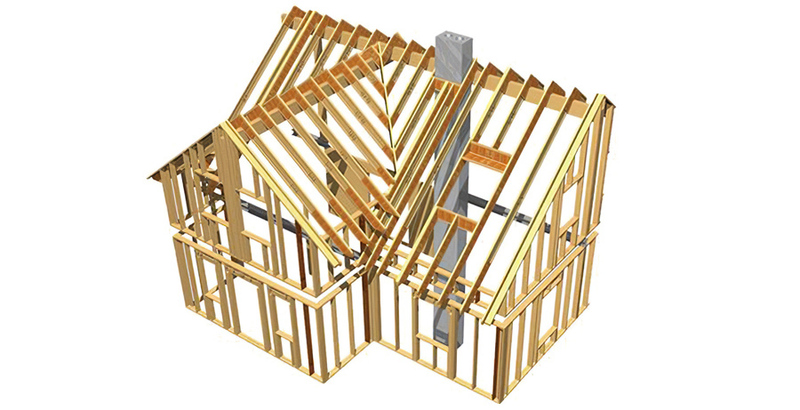 ArchiFrame tools make it possible to infinitely reshape wooden planks and beams to get the desired result. You can duplicate, rotate, and output wooden elements to manufacture quickly and easily. The ArchiFrame workflow takes you from the architect's computer straight to the production line. ARCHICAD has plenty of powerful tools like TeamWorkTM, multiple import and export options, and the ability to overlay MEP engineering over a structural model for collision checking. Everything you need is inside a single ArchiCAD file - including 3D models and 2D elevations with semi-automated layouts and listings. ArchiFrame supports also Light-gauge steel framing. See Healthy Buildings USA's Facebook page or a Youtube video. Using ArchiFrame, you don't have to remodel the building from the architect's plans, potentially saving you time and money. Having everything in the same model makes collision checking easy. Take advantage of all the flagship ARCHICAD features you know and love: e.g. TeamWork? in Windows and Mac. ARCHICAD users will not need to re-learn the base program in order to use ArchiFrame ? start creating from the word go. ArchiFrame's purchase price and terms are similar to the full ARCHICAD subscriptions in local markets.